I had to install an external cartridge on the PC Tower case. 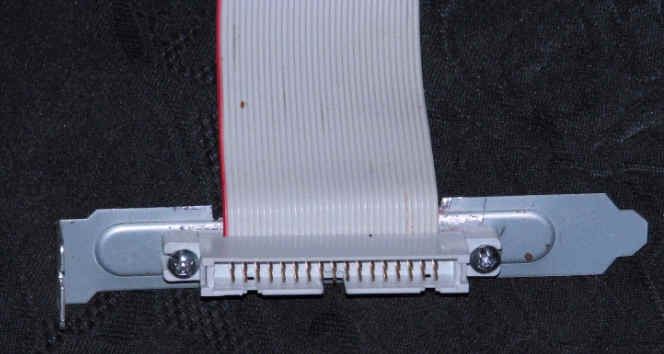 The easiest way to do this is build a cable that hooks up to the top of the multiplexer cart. This Multiplexer cart was put together wit a 4 pole double throw switch. 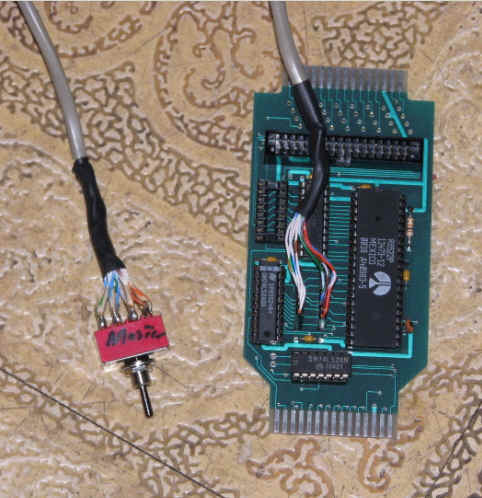 This switch allows me to toggle between Multiplexer Master Mode and Slave 8. also a 30 pin cartridge port. so now we have to take one of the PC blank offs and mount a 34 pin bulk head connector on it so the PC Tower Cases can be closed and still connect to the multiplexer Buss.